Mini-Board Games for Christmas. 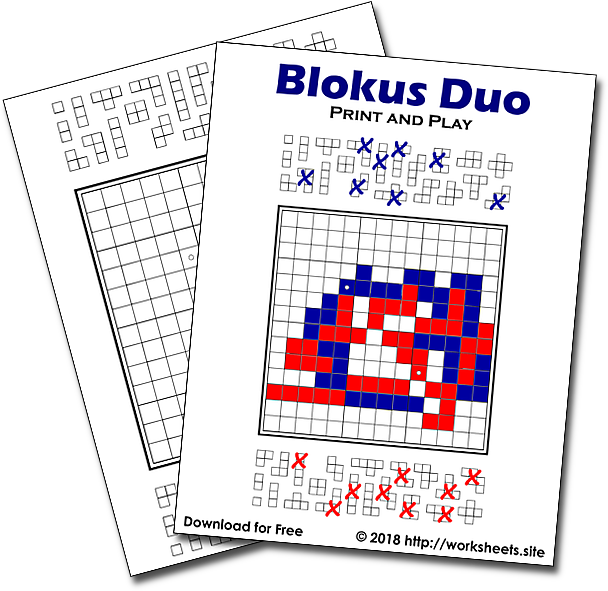 Printable Board Game for Christmas. 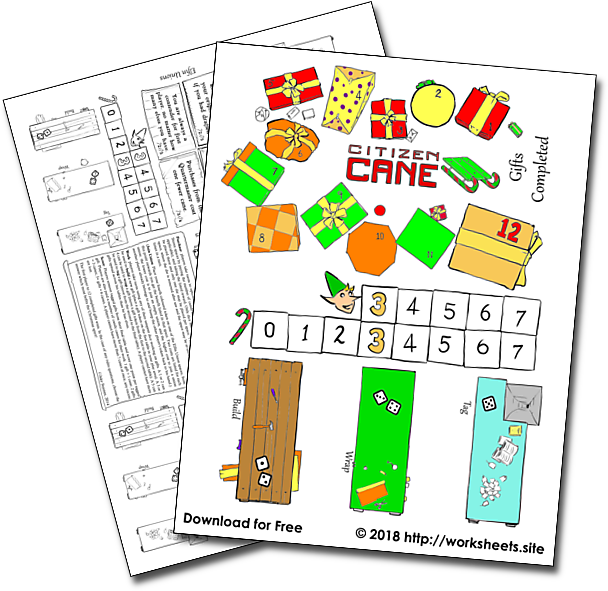 Printable Christmas Board Game. Free Christmas Games. 2-4 players play as elf team leaders trying to build their gift-building empires! Euro-cubes are ideal for player tokens and gifts. Each player places a token in their colour on "3 Elves", "3 Candy Canes" and "0 Completed Gifts"
The First Player marker moves to the player with the fewest elves; in case of tie, to the next clockwise player in contention. Then: Roll, Draft, Purchase, Work and Score. In each phase, players take turns starting with the first player and moving clockwise around the table. Each player takes as many dice as they have elves and rolls them. They may then set aside any number and re-roll the remainder up to two times. All rolled dice from all players are now pooled and players take turns to select one die at a time to add to their hand for this turn, until each player has selected a number of dice equal to the number of elves they have. players take turns to optionally place a die into one of the Quartermaster's Stores spaces by paying the number of candy canes noted in brackets on that space (if applicable), and taking the listed reward. Only dice matching the die on the space may be placed there and only one die may be placed per space. The exception is the reroll space, where the die is removed after use and the space may be re-used any number of times in a turn. players take turns using any of their unspent dice working on gifts. A 1 or 2 can be used to build a new gift (place a gift token on the first table in your play area). A 3 or 4 can be used to wrap a gift (move a gift token from the first to the second table). A 5 can be used to tag a gift (move from the second to the final table). A player cannot have more gifts spread across his tables than he has elves. Players remove tagged gifts from their final table and score one point per tagged gift. Players are also paid a number of candy canes for their work: 1 gift = 1 cane; 2 gifts = 3 canes; 3+ gifts = 6 canes. A player cannot have more than 7 canes at once, any excess are lost. The first player to 12 completed gifts wins. In the case of any rules questions, choose the answer which most befits the Christmas spirit!